Self-Guided Tours: Tour the Garden at your own pace. Maps are provided to guide you throughout the 50 acres. There is no entrance fee however donations are certainly welcome to help support the Gardens. Nearly the entire Garden is handicap accessible. 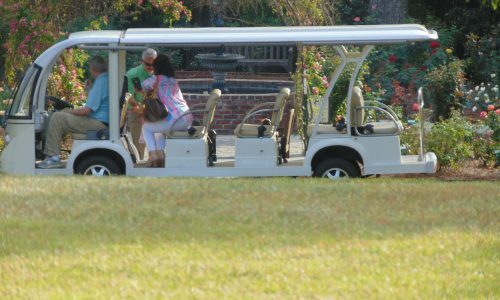 However your group may prefer a Tram tour to minimize walking. 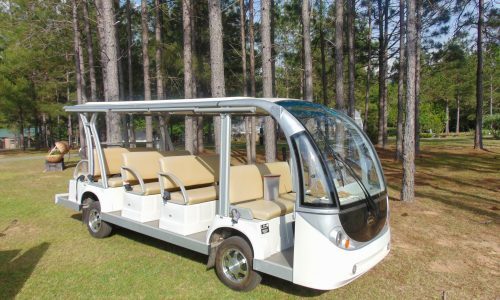 Our electric tram can be used to shuttle guests from the parking lot for a tour of the gardens. 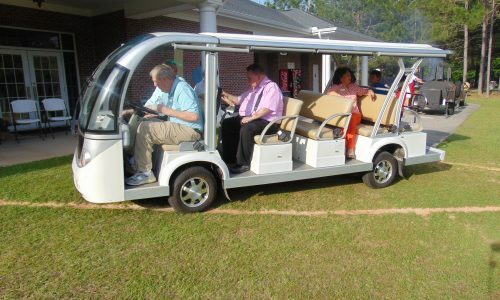 The tram will seat about 12 adults and is equipped with speakers for a guided tour of the Gardens. Group tours are available by reservation only for a small fee. Please call in advance, 334-793-3224, and allow at least seven days notice for a group tour. Schedule your group’s next meeting at the Gardens and take the tour. The classroom is available to the public free of charge on a first-come first-served basis during normal business hours Monday through Friday.